A Sports Bar at the front and a Ladder Bar at the rear. Cab clearance is standard on all Sports Bar Combos. 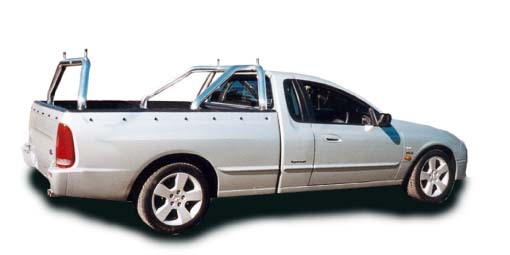 An FG Falcon ute with a Sports Bar Combo. These are designed to have roof clearance and the rear bar is removable. VE Commodore Ute Sports Bar Combo. A 76mm polished alloy double loop Sports Bar at the front (with cab clearance) and a matching removable rear bar. If its purely cosmetic you want, Sports Bars are also available as cab height. 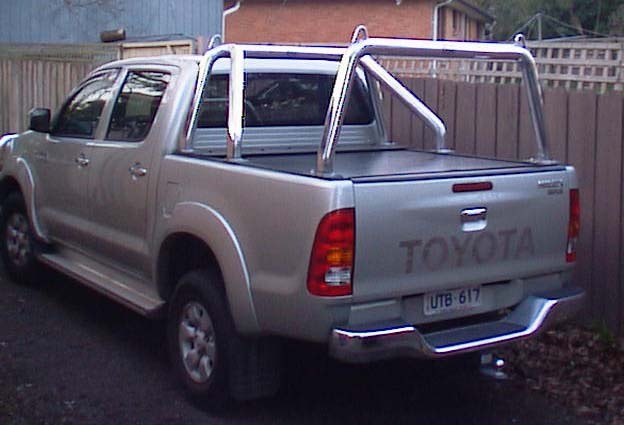 A 2007 Hilux SR5 fitted with a "Sports Bar Combo." 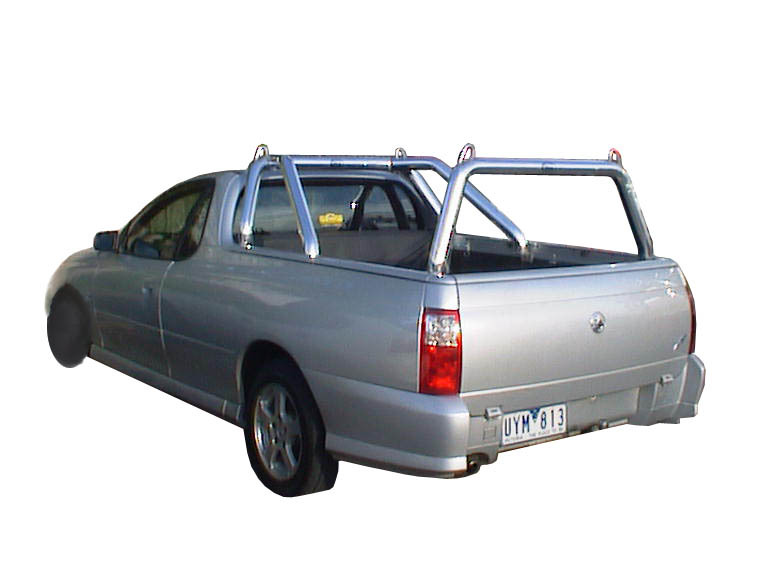 This Ute was fitted with a roll top security cover. 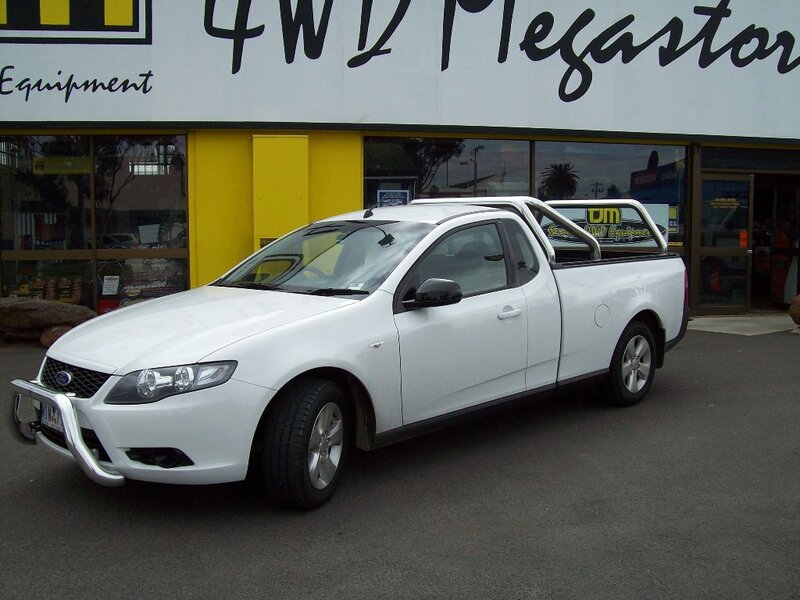 Another FG Falcon Ute with a Sports Bar Combo. The one shown here has cab clearance for ladders etc. VZ Commodore with a Sports Bar Combo. The front sports bar is fixed and the rear bar is removable. 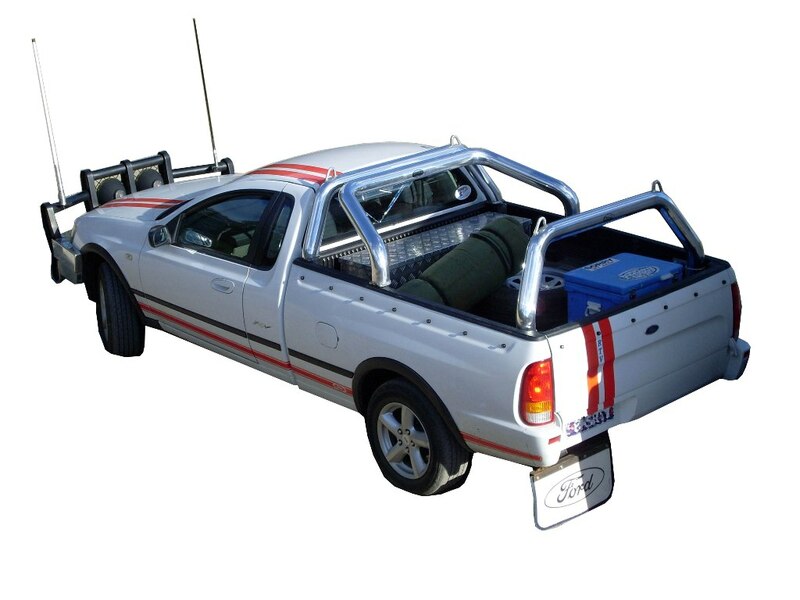 An AU, BA or BF Falcon Ute looks great with a 76mm "Sports Bar Combo". A Sports Bar at the front with a matching Ladder Rack at the rear. The rear bar can once again be removed. A BNS RTV with a 100mm polished alloy Sports Bar Combo. Chunky!! !